Our kids are grown, we’re retired and we just sold our house. So we are now ready to begin living our long held dream of becoming modern day “nomads”. We plan to spend the next 10 years living full time in our motor home exploring North America as well as traveling internationally. We are more than ready to be free of the responsibility for most of our possessions (especially our large suburban house and over sized back yard). But we are apparently unusual as the most common response to our telling someone of our plans is “I could never do that”. We avoid the temptation to point out that we are not asking them to. We are well aware that this lifestyle is definitely not for everyone but there are numerous reasons why it is for us. We both have dominant "Tumble weed" genes rather than those for setting "Deep roots". 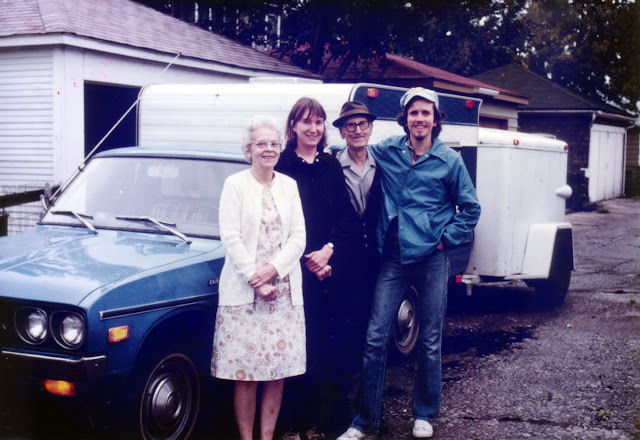 Back in 1977 we found it easy to pick up, leave Louisville behind and head for Seattle without jobs, friends or family west of the Mississippi. 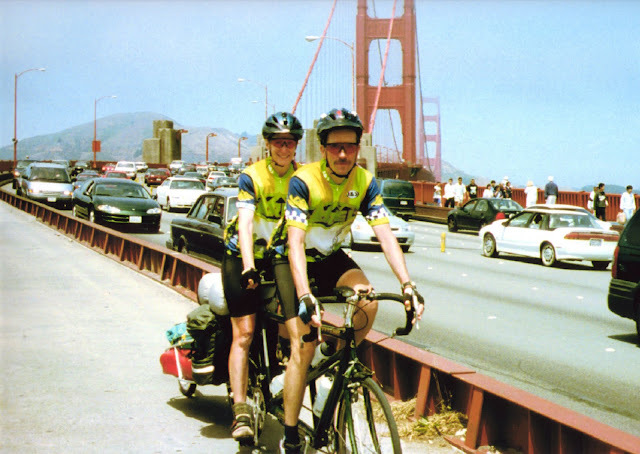 We have been content to stay in one place while we still had kids at home but our “wanderlust” has been growing since 1999 when we did a 1000 mile tandem bike trip from Seattle to San Francisco. During those 2 weeks we realized we both would have been happy to continue south and only our family and work commitments convinced us to stop and return home. We both have a “backpacker’s mentality”, understanding that each possession contributes to the weight of your pack (as well as your life) slowing you down and preventing you from traveling as far as you want to go. We both enjoy determining what we need to be relatively safe and comfortable and then fitting it all into a compact and well organized space, be it a backpack or a modestly sized motor home. We are not especially materialistic, the exceptions being gear needed for our outdoors adventures; backpacks, tents, snowshoes, recumbent tandem bicycle, John’s camera gear etc. Our motor home is a 26A Winnebago Access and considered by many to be too small to live in full time. A salesman went so far as to tell us “You’ll hate in 2 weeks, I guarantee it”. But a motor home is just a means to an end and, compared to compact tents we have already spent weeks together in, this one feels palatial and down right luxurious to us. For example, after returning from a 5 day backpack trip (Buckskin Gulch & Pariah River) we were able to crank up the generator, turn on the AC and fire up the hot water heater. Within an hour all of our gear was put away, we had both showered, eaten a home cooked meal, and were looking forward to sleeping in a comfortable bed with sheets. What’s not to love? While we have an extensive list of things we want to do and places we want to go we don’t have a detailed itinerary. After our house sale closes in mid April and we wrap up a few loose ends we plan to head towards the south west US. We will then follow the warm weather north again as we plan to spend significant time in Canada and Alaska this summer. I will chronicle our travels here in case any of you are interested however posting intervals will be sporadic. In addition we will be posting John’s abundant photos on Flickr. And as we already have some great trips “under our belts” we will be describing those and posting photos from them as well. This is a dream of ours. My husband and I often talk about retiring this way. Two thumbs up to you guys.